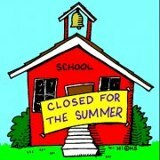 Parents, by now, your sweet little something(s) made note of the close of school and the need to know what's in store for them for their precious two month summer break. Kids often envision days of sleeping in, cereal for every meal, and days saturated with video games, internet, and more cereal. Parents envision "Mom, Dad, we're bored". 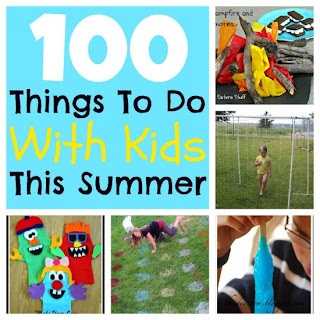 Below are a list of Reginia's suggestions for family engagement, summer science for kids, and a way to combat boredom. Parents, what do you have planned for summer? Tags: "Summer 2013", "summer ideas for kids", "school is out"
Where are the other 90!! I do plan on taking some of your suggestions. I did sign them up for something called kids bowl free. So if push comes to shove we'll be at the bowling alley quite a bit. I also plan to have library day weekly and possibly hook up with some other moms and head out to the city for field trip day wherever the cost is low and the lines are long...if that exists! @Mimi LOL... I'm pondering the other 90. I look forward to lots and lots of photos showing what Big Boy and Lil Tot are up to this summer.